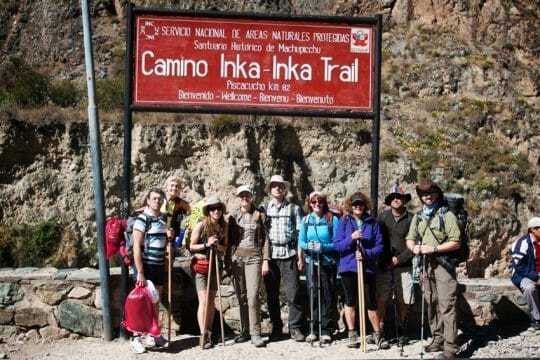 The Classic Inca Trail 4 Days is considered as one of the best and most famous trails in South America. It combines a remarkable mix of Inca remains, green cloud forest, mountain scenery and a sub-tropical jungle. More than 250 orchid species have been discovered in the Historic Sanctuary of Machu Picchu. The Classic Inca Trail 4 days adventure begins from Cusco. We will drive 2 hours by bus through the mountains of the Andes and the Sacred Valley. At the end of the ride we will reach Ollantaytambo town. Ollantaytambo is a small village which is the last stop to buy breakfast or some missing equipment before you will start the trek. Before you start the Classic Inca Trail, we suggest to do for example one of our Cusco Day Tours as a training and to acclimatize to the altitude. Early in the morning we will pick you up at your hotel. From there we will transport you in a minivan to Piskacucho. Piskacucho is a neighborhood located at Km 82 on the way to Machu Picchu and the meeting point for our group. We will begin the Inca Trail by crossing the overhead bridge on the Urubamba River. First of all we will see Llactapata, an inspiring Inca city, from the highest peak of the trail. We will hike through the valley, carved out by the river Kusichaca and climb slowly higher. After five hours of hiking we will arrive to the Wayllabamba community. This is the place where we will camp and overnight. The first day of the Trail is simple and offers good training for the days ahead. This day is without doubt the toughest and highest one in terms of altitude and difficulty. It includes a sudden and sheer ascent that goes on for about 9 km. But no worries, inexperienced hikers are also allowed to settle in some time. From the startin point you can already see ahead the zigzagging path up the mountain. The trek is demanding the least with a sharp climb to the Warmiwañusca, also called the Dead Woman´s Pass (4200m/13776ft.). Along this path the setting turns from Sierra into Puna – a dry area with little vegetation. The area is chilly and very breezy. and after crossing the pass, the trail descends to the valley of Pacaymayu. Here our helpers will set up the camp. After almost 7 hours of hiking we will have a meal and will have a rest after an very exhausting day. This day is the longest part of the inca trail. However, it is the most remarkable and the most appealing one due to the presence of numerous archaeological sites. The green cloud forest as well as the rich presence of Andean flora and fauna make this part very special and enjoyable. From there we will move on. From Pacaymayo to Abra Runkurakay we will leave the path and descend to Yanacocha. Here we will enter the cloud forest and finally reach Sayacmarca. Sayacmarca is a stunning place with semi circularly constructions, narrow lanes, liturgical fountains, irrigation canals and yards. Continuing, we will finally approach the third mountain pass, the “Abra de Phuyupatamarca”. Later, the trail descends further leading to Phuyupatamarca, an archeological site known as “The Town in the Clouds.” This part is the most striking site on the Inca Trail because it is always clouded up here. This area is equipped with emblematic farming terraces and fountains with flowing fresh water. We will go through the Inca tunnel and reach a path downwards a complex. After proceeding, we will hike down long long long stone steps that guide us to Wiñaywayna. Wiñywayna is an inspiring Inca center comprising of a thriving agricultural complex with several terraces – astonishing! It also used to be an urban sector and a religious hub. 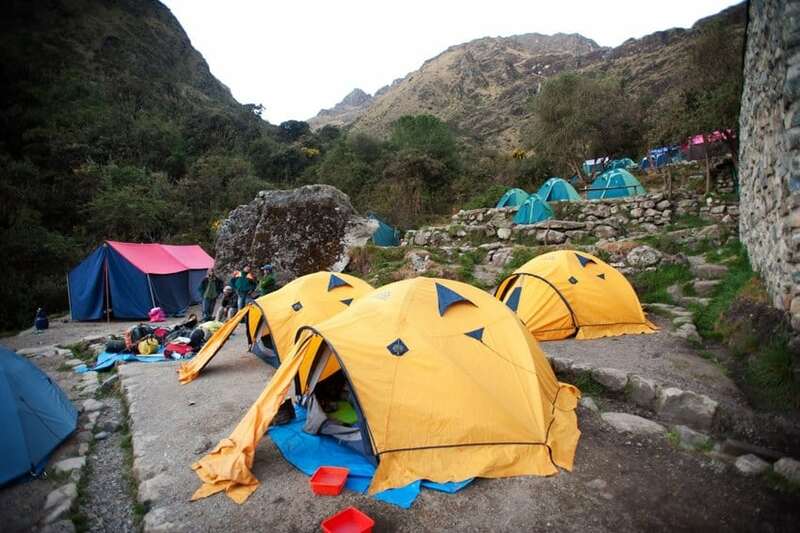 Wiñaywayna is also the last official campside in front of the sungate of Machu Picchu. At around 4am we will get up to have a box-breakfast. Then we will hurry up to the Inca trail because we will need to get to Machu Picchu before sunrise. This is the last part of our journey. We will reach the sun gate (Inti Punku) at 5:00AM to see the sunrise. Out of the blue every part of Machu Picchu is in front of your eyes stuttering its immense beauty – an incredible view and impossible to forget. After the sunrise we will move downhill towards Machu Picchu and after a period of 40 minutes we will enter the citadel from the top point through the “House of the Guardians”. We then will proceed to the control point where we will register ourselves and leave our stuff. 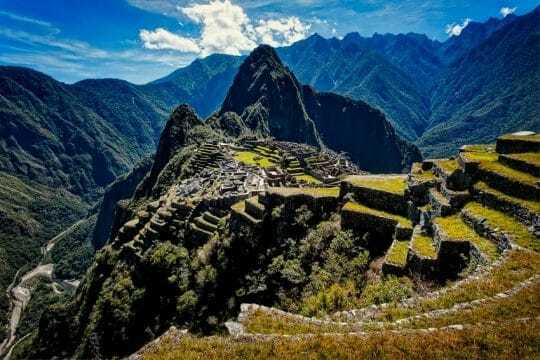 Therefore, we will be able to walk without our luggage around Machu Picchu and to start our guided tour that usually takes two hours. 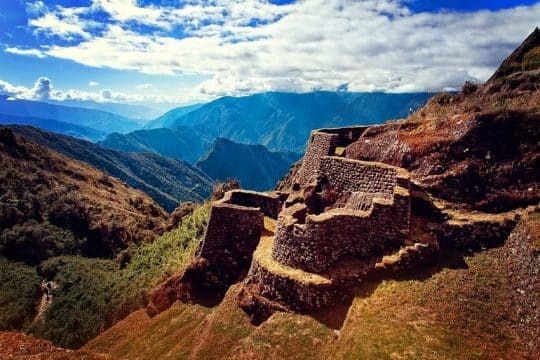 The tour around the citadel includes the visit of the Main Plaza, the Royal Quarters, the Circular Tower, the Temple of the Three Windows, the most important preserved Intihuatana, warehouses, houses and the large central square. After the entire tour, you will have enough time to wander around the Archaeological Site on your own.